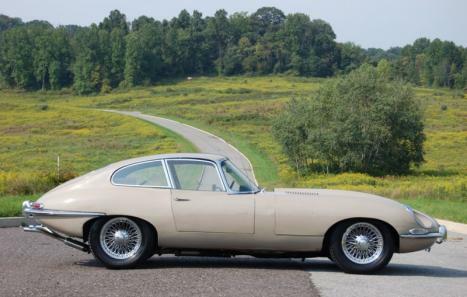 Offered for the first time since 1974, is this very original 1968 Jaguar XKE Series 1.5 FHC. 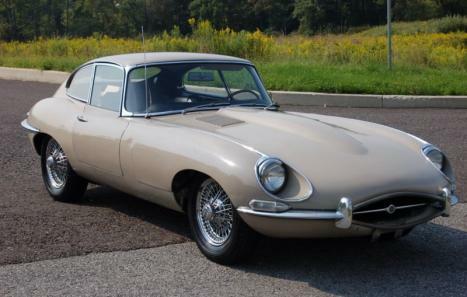 Finished in its original color combination this Series 1.5 Coupe was sold new at Foreign Cars of Suffolk in Huntington, NY to an Air Force Pilot from NJ. In 1974 the second NJ owner took possession of the car reporting 53,000 miles at that time. 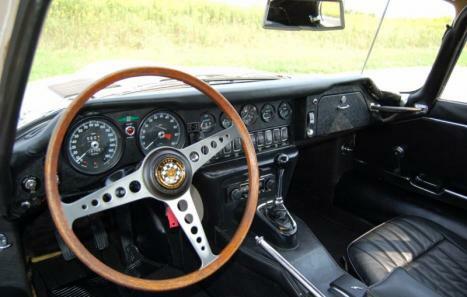 During his ownership the car was seldom driven and to this day shows just over 72,000 original miles. It has remained in storage for the past 20 years with an occasional run and drive. Today the car resembles a very original example that offers an excellent restoration candidate or could easily be brought up to date and enjoyed as a driver. Cosmetically this car reflects that of an original. However, the paint does show to be spotted in two areas on the car as evident by two spots of overspray on a rubber trim piece. According to the second owner, he never had it painted, so any work that was complete was done so prior to 1974. The finish is consistent with some cracking and fading throughout. There are absolutely no signs of any accident damage, the bonnet has sharp edges at the gaps and is not thick anywhere, and showing no signs of any filler usage at all. The body is fairly straight with some dents and dings and scratches but otherwise fairly presentable as is. The bright work is showing its age as are the rubber seals throughout. The glass is all original and crack/fade free. The car is 100% complete, with no items missing at all. The interior shows well for an original but the most recent owner did have the seats recovered but says the rest of it is original or at least from 1974 when he purchased it. The original seat covers are included. All knobs, switches and electrical items are in proper working order. Tach and speedo work well. The headliner and visors are original and in good condition, as is the dash and center console. The trunk shows well as an original with a clean spare wheel well showing no rust issues of any kind. Mechanically this car has not seen regular service in many years. However, it does start, run, drive, stop, steer, and handle very well with all things considered. Consistent power throughout the range with a good clutch and easy shifts. The motor sounds strong and there are no inconsistencies. Under the bonnet shows as an original that has never been hit or tampered with. 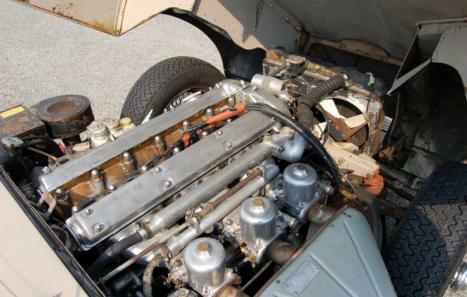 The engine is a matching numbers block but the head appears to be from an earlier car (#R7685-8) and does not match. The undercarriage shows as a solid original with good floors on both sides, although the right side does have some dents. The majority of the rust issues are near the battery box, which is the worst section. Otherwise, all of the wheels wells show to be solid and rust free with the exception of a very small spot on the top of the left rear. The under carriage towards the rear is rust free and solid with the trunk floor appearing to be totally original. Overall this is an excellent opportunity to purchase a true Series 1.5 FHC that could be the ideal base for a restoration or a scruffy driver with a few minor updates. It shows as an original and offers a known history with good documentation. Included in the sale is a Ski Rack from 1974, jack, hammer, spare, various receipts, service manual, extra seat covers, spares, and Heritage Certificate. Please inquire with any additional interest.